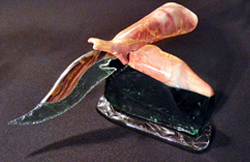 From concept to completion, each component of this beautiful knife was hand selected by artist Mario Marcella to create this extraordinary work of art. 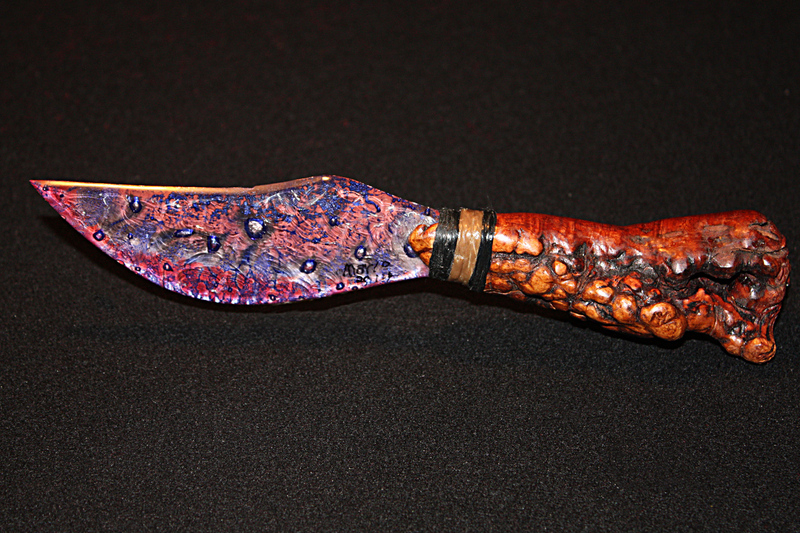 The old world blue blown glass blade was painstakingly hand knapped and then combined with a polished edge for an extra touch of artistry. 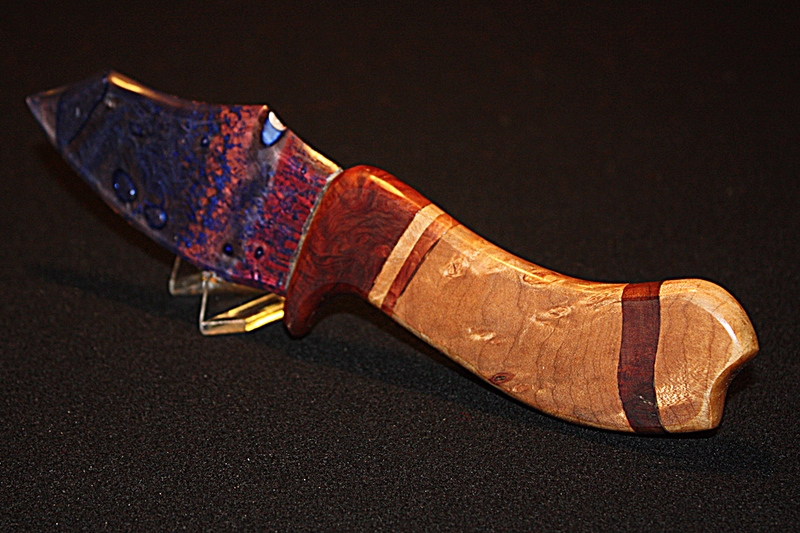 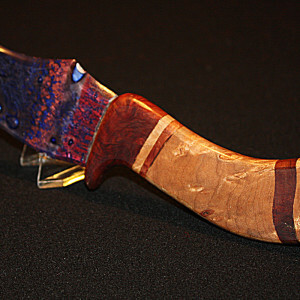 Bands of dense ironwood is infused between picturesque maple burl and polished to a shine. 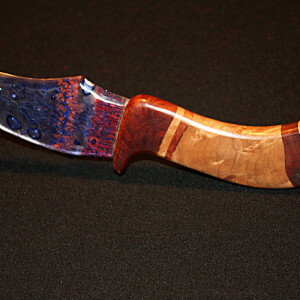 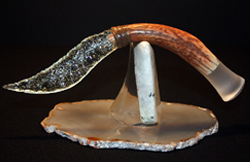 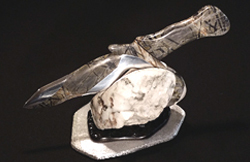 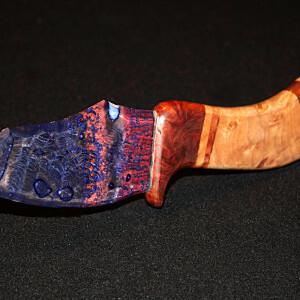 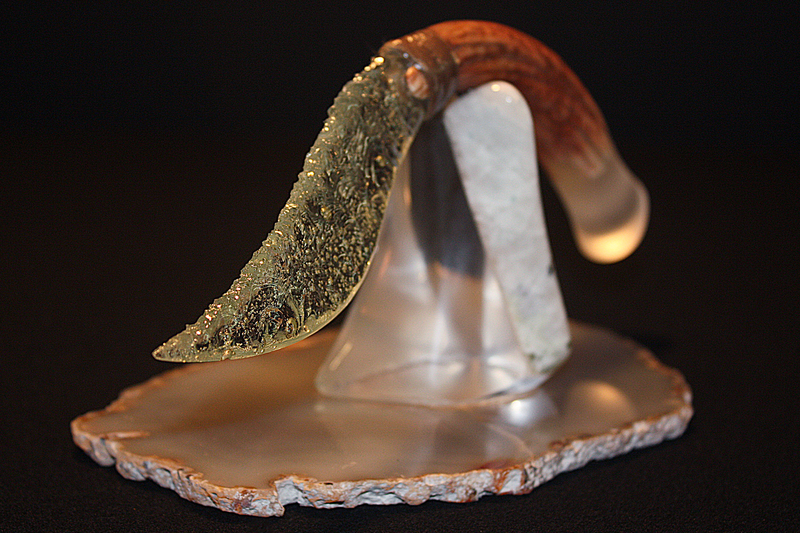 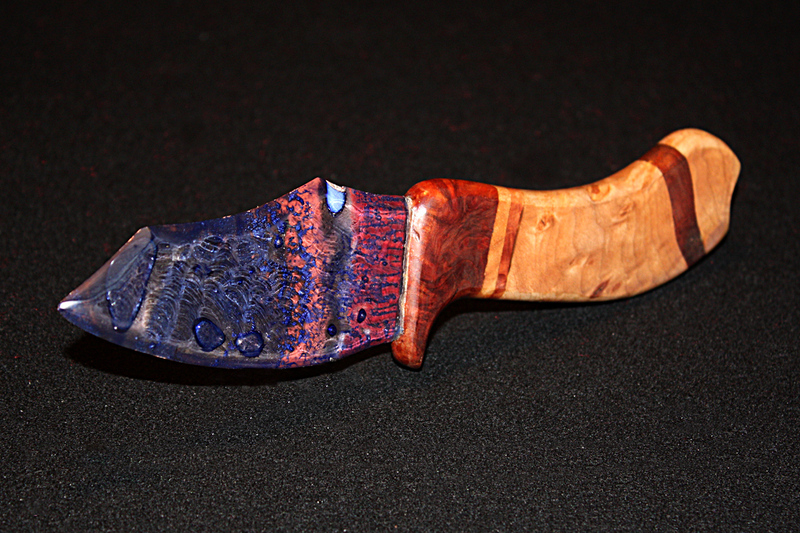 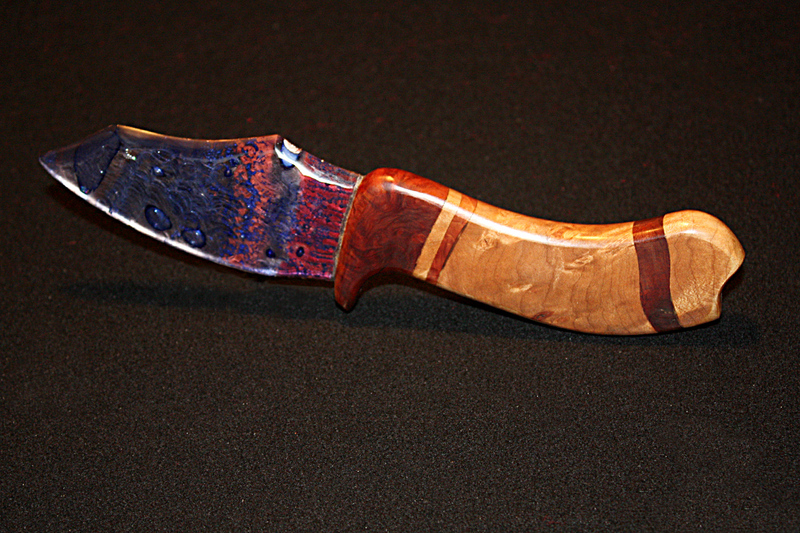 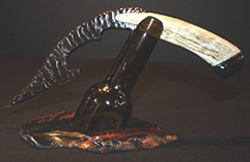 This sculptured knife is a must have for any serious knife or art collector or investor. 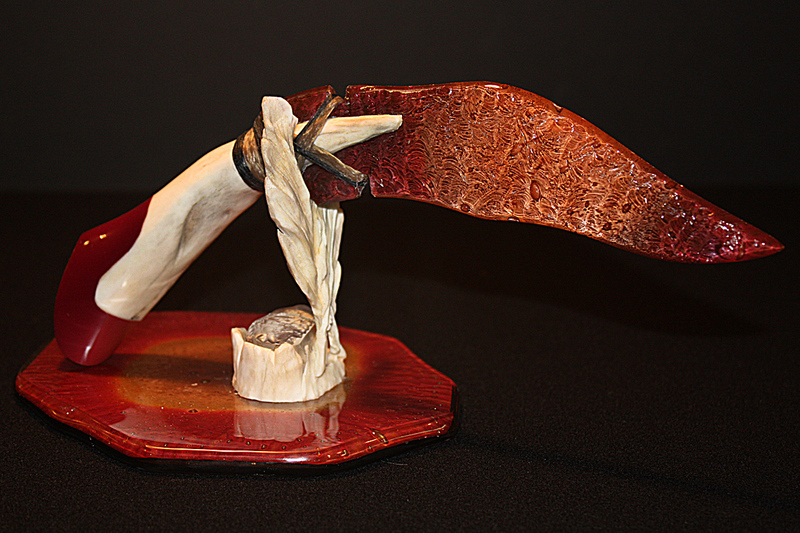 It is personally signed by the artist includes a certificate of authenticity.